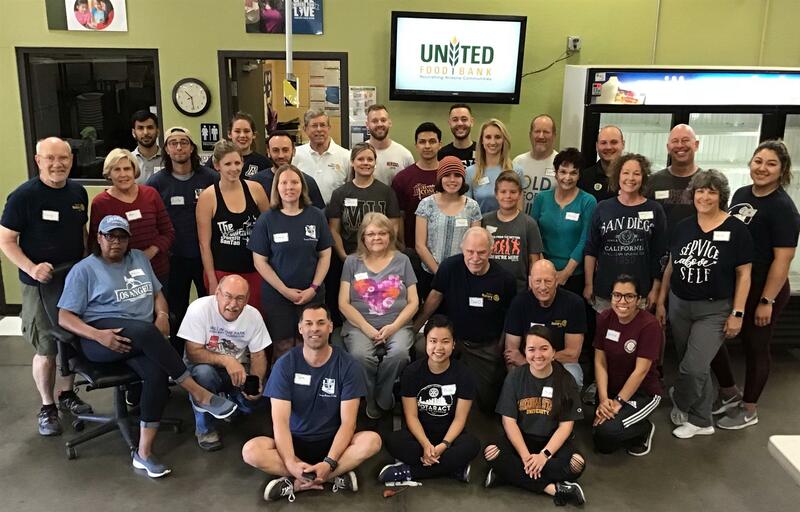 March 23, 2019 - Rotarians and their friends and family set up a food assembly line and then packed 1,005 emergency food bags at the United Food Bank for UFB and first responders to provide to families in dire need. Each bag contained 15 pounds of nutritious and non perishable food. This event lasted about 3 hours. The Kyrene Club was well represented with eleven volunteers. This was the 14th consecutive quarterly food packing event since a Kyrene Rotarian began the Rotary-UFB project four years ago.